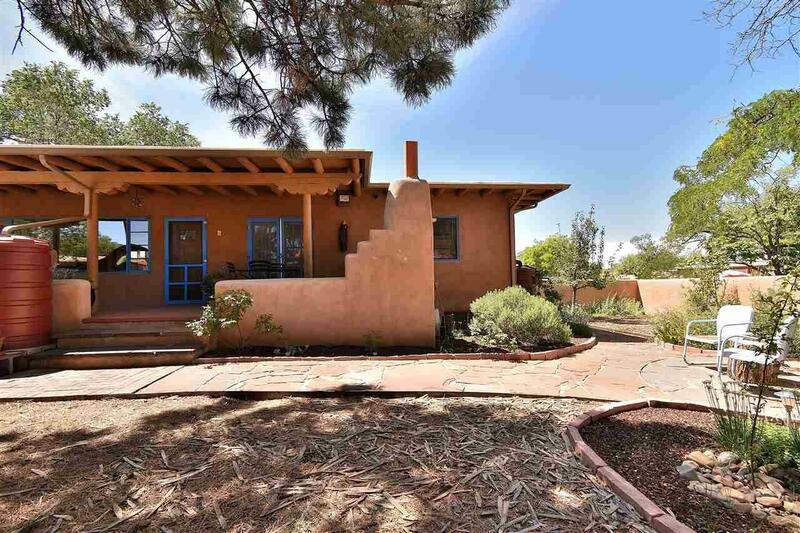 This remarkable light-filled, Stamm home with gorgeous, outdoor spaces is a gardener's dream! Located in a wonderful walkable location, this home maintains its original character and has been lovingly and meticulously maintained. 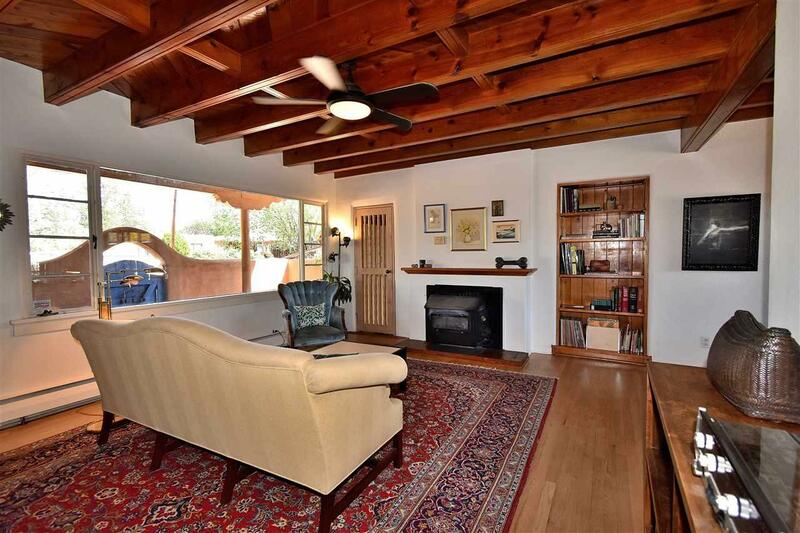 Upstairs there are beamed ceilings, refinished hardwood floors, built-in china cupboard in the dining room and a wood stove in the living room. There are also 3 bedrooms upstairs, one with French doors to the front portal and one with a bath. The full bath has been refreshed with beautiful white tile and a towel heater. Downstairs, there is a large bonus room, a useful craft, art room or den, lots of storage, a mechanical room and a bath with a sauna. The mechanical room boasts a 100 gallon water heater, a state-of-the-art newer furnace with a de-ionizer which keeps the copper pipes from corroding. There is also a whole house water filtration system, and rainwater catchment. 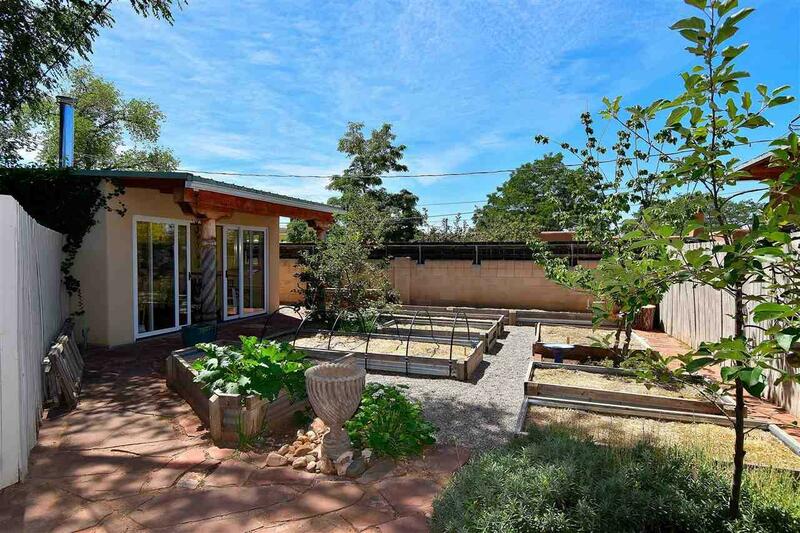 Outside, a separate, studio with sliding glass doors faces the beautiful backyard garden. The garden is well established with raised beds and lots of potential for abundant flowers and vegetables. There are fruit trees around the property, pears, plum, peach, and crab apples. 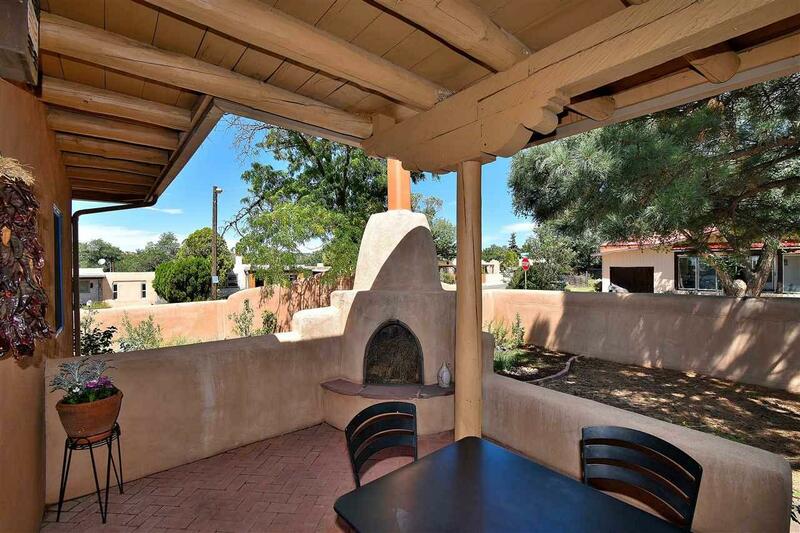 The brick patio in the front of the house is spacious and adds entertaining space beyond the generous front portal with its outdoor kiva fireplace. This home is special and not to be missed! Listing provided courtesy of Lise Knouse of Keller Williams. © 2019 Santa Fe Association of REALTORS®, Inc. MLS. All Rights Reserved.